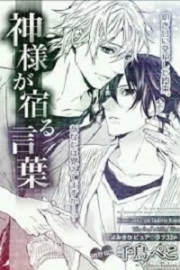 You’re reading novel Chaotic Sword God Chapter 268 - A High Success online at LightNovelFree.com. Please use the follow button to get notification about the latest chapter next time when you visit LightNovelFree.com. Use F11 button to read novel in full-screen(PC only). Drop by anytime you want to read free – fast – latest novel. It’s great if you could leave a comment, share your opinion about the new chapters, new novel with others on the internet. We’ll do our best to bring you the finest, latest novel everyday. Enjoy! Cautiously returning back to where the soldiers were resting, Jian Chen began to hand back the venom filled water canteens with great care so that he wouldn’t reveal the plan he was concocting. Jian Chen looked around himself silently as if observing his surroundings in the case that something went wrong, he would be able to react at a moment’s notice. While the armor he wore made his appearance similar to the other soldiers, his voice was not something Jian Chen could change. None of the surrounding soldiers could sense anything amiss with Jian Chen. One after another, they took a water canteen and began to drink to their fill. “Si Qiafu, bring us our canteens!” A high ranking soldier beckoned to Jian Chen. Jian Chen looked at the soldier who called out to him from the corner of his eye. He instantly knew that this name that the soldier had said belonged to the soldier that Jian Chen had killed. Without hesitation, he pulled out a few elegant looking canteens and walked toward them. His heart was prepared to make a move at any time. However, these soldiers didn’t sense anything wrong with Jian Chen either. Taking the canteens from Jian Chen, they began to indulge themselves with the water. The venom of the Silver Striped Golden Snake was tasteless and colorless, so there was no way for the soldiers to sense that anything was wrong. Furthermore, they wouldn’t think that someone within the Blue Wind Kingdom would act against them in such a manner. Personally watching everyone take a sip from their canteens, Jian Chen’s eyes glistened faintly. Right now, his plan was an overall success, the only thing left to do was to see just how intense the Silver Striped Golden Snake’s poison would be. While the venom within a Silver Striped Golden Snake’s fang was the most dangerous part, the Silver Striped Golden Snake that Jian Chen had killed was still quite weak so the venom within it was not at its most potent stage. Jian Chen’s heart couldn’t help but worry, wondering whether or not this venom would work on Earth Saint Masters, he didn’t know. “Si Qiafu, why aren’t you saying anything?” One of the four soldiers suddenly realized something was unusual with “Si Qiafu”. That was because on an everyday basis, the soldiers would always call out to greet them respectfully. Since Jian Chen hadn’t said a single word since his water run, these high ranking soldiers felt that something was off. 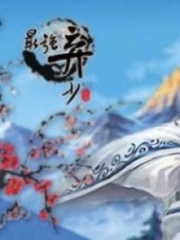 Jian Chen’s heart thumped as he instantly brought the Light Wind Sword to his hand and stabbed toward the soldier. Jian Chen’s execution was firm and did not waver from its path. He knew that faking anymore was useless since he couldn’t say a word. The moment he said something, then all would be revealed. Thus, it would be best to take the initiative instead of being caught unprepared. The Light Wind Sword pierced deeply into the soldier’s throat as the tip of the blade went through the back of his neck with blood dripping from the sword. Despite the soldier being very strong, he had not been prepared for Jian Chen’s attack. Combined with the extremely fast sword strike, it had all happened in an instant. In fact, it had happened so fast that it was beyond anyone’s reaction at that moment. So this surprise attack had been pulled off almost effortlessly to kill an Earth Saint Master. This sudden development caused the other commanders to be stunned. After experiencing hundreds of battles and coming across many things, they were able to quickly react and flew at Jian Chen furiously. Immediately leaping backward, Jian Chen made use of his momentum to run further away. With the blistering heat, every single soldier had drank the venom filled water. It was only a matter of time before it took effect, so he would just have to wait. The commanders all cried out in fury as their faces grew unsightly from the rage. Both of their eyes grew red with anger as the previously resting soldiers stayed true to their t.i.tle as elite soldiers and flew up without an order to immediately block Jian Chen’s path. Jian Chen’s eyes flashed dangerously as his Middle Great Saint Master strength was suddenly revealed. In an instant his Light Wind Sword flew at every nearby soldier blocking his path, painting the road red with their blood. This group of elite soldiers were completely unable to block his path. Jian Chen quickly escaped from the confinement ring the soldiers had locked him in. Immediately flying a few steps backward, the remaining four commanders and the group of soldiers ran to chase him, some had already mounted their magical beasts to give chase. Not even a few steps after beginning to chase Jian Chen, a good amount of the soldiers suddenly bent over with a painful grimace. Blood streamed down from their lips as their faces began to grow even more pale. Straight away, even more soldiers began to halt their footsteps as they fell to the ground in pain. Their mouths continued to spit out blood as the soldiers on top of their mounts fell down from them suddenly. Not long after, two hundred soldiers were all on the ground with blood streaming from their lips. Their faces continued to be stuck in a painful grimace while some soldiers had already fell to the ground dead. “Commander, we’ve been poisoned!” A soldier cried out hoa.r.s.ely. Hearing this, the four commanders chasing Jian Chen suddenly stopped. Naturally, the moment they saw their men in such a miserable state, a look of shock overcame them. The commanders all cried out in anger as they trembled with ashen faces. Si Qiafu had been a soldier they had carefully cultivated and cared for for many years. They hadn’t thought that he would betray them now in such an indiscriminate manner. If this were to get out that the most elite squadron of the Blue Wind Kingdom, the Storm Troops had a soldier defect, they would become the laughing stock of the entire kingdom. The four commanders’ faces all grew unsightly as they immediately tried to force the poison out of their systems. 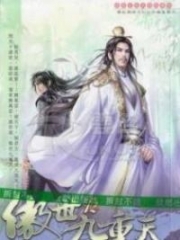 At that time, Jian Chen who was running away from them at an extremely fast speed suddenly turned around and slowly started to walk back to the commanders with his b.l.o.o.d.y Light Wind Sword in hand. 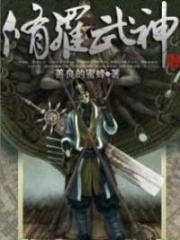 You're reading novel Chaotic Sword God Chapter 268 - A High Success online at LightNovelFree.com. You can use the follow function to bookmark your favorite novel ( Only for registered users ). If you find any errors ( broken links, can't load photos, etc.. ), Please let us know so we can fix it as soon as possible. And when you start a conversation or debate about a certain topic with other people, please do not offend them just because you don't like their opinions. You're reading Chaotic Sword God Chapter 268 - A High Success. This novel has been translated by Updating. Author: Xin Xing Xiao Yao already has 11483 views. Chaotic Sword God Chapter 269 - Poisoned?! Current Time is Apr-21-2019 04:21:08 AM.